The last twenty years have witnessed a dramatic increase in the number and quality of biblical commentaries being published. With such a large number being published, it can be difficult to choose among them, but with the prices involved, it may also be necessary. 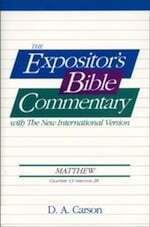 In addition to Dr. Sproul’s commentary on the Gospel of Matthew, I will briefly describe five of the most generally helpful commentaries available, and by “helpful” I mean works that explain to the reader the meaning of the text not only within the individual biblical book, but within Scripture as a whole. Subsequent posts will offer recommendations for commentaries on the remaining books of Scripture. 1. 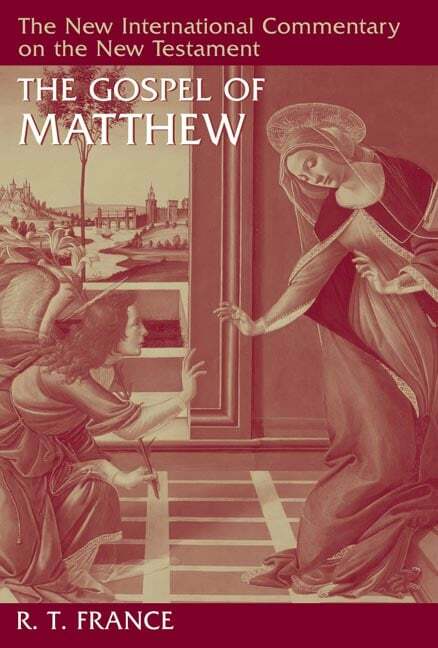 R. T. France — The Gospel of Matthew (New International Commentary on the New Testament, 2007). A short commentary on the Gospel of Matthew has been available by R.T. France in the Tyndale New Testament Commentary series since 1985, but in 2007, France published a much more comprehensive commentary on this Gospel in the NICNT series — The New International Commentary on the New Testament. France’s work is thorough and solidly evangelical and will be beneficial to pastors and all serious students of Scripture. His commentary is distinctive in that he takes a largely preterist approach to much of the Olivet Discourse. 2. D. A. Carson — “Matthew” in The Expositor’s Bible Commentary (1984). It is difficult to decide whether to place Carson or France in the number 1 position because both are such outstanding commentaries. Ultimately, I place France slightly ahead of Carson because of France’s interpretation of Matthew 24. Carson’s commentary, however, should not be neglected by anyone doing serious study of this Gospel. Carson’s work is characterized by careful and sane exegesis and consideration of all interpretive options. His individual commentary in the series is also available separately as a two volume paperback (Vol. 1, Vol. 2). 3. Craig S. Keener — A Commentary on the Gospel of Matthew (1999). Like France and Carson, Keener is an outstanding exegete. His commentary is distinctive in its emphasis on the social-historical context of the Gospel. 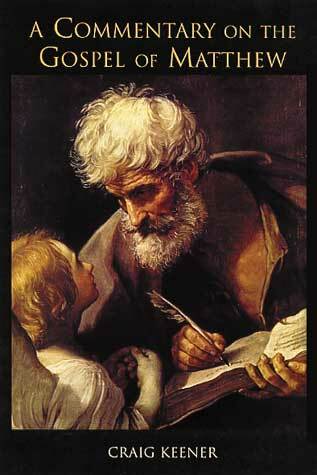 It also contains a very useful 150 page bibliography of secondary resources on the Gospel of Matthew. 4. Leon Morris — The Gospel According to Matthew (Pillar New Testament Commentary, 1992). Although his commentary has been overshadowed by the more recent works of France and others, one should not neglect the work of Leon Morris. 5. W.D. Davies and D.C. Allison — Matthew 1-7, Matthew 8-18, Matthew 19-28 (International Critical Commentary, 1988, 1991, 1997). For those doing an exhaustive study of the Gospel of Matthew, the work of Davies and Allison is indispensable. Readers should be aware that it is written from a moderately critical perspective, but in terms of comprehensiveness, there is nothing quite like this commentary. It is a highly technical commentary on the Greek text and thus not suitable for lay readers, but discerning pastors who are looking for information on every conceivable issue related to the text need look no further. The three paperback volumes are somewhat expensive (See links above), but they are a bargain compared to the hardcovers, which run approximately $150 each! For those not interested in all the technical details, an abridged version is also available. 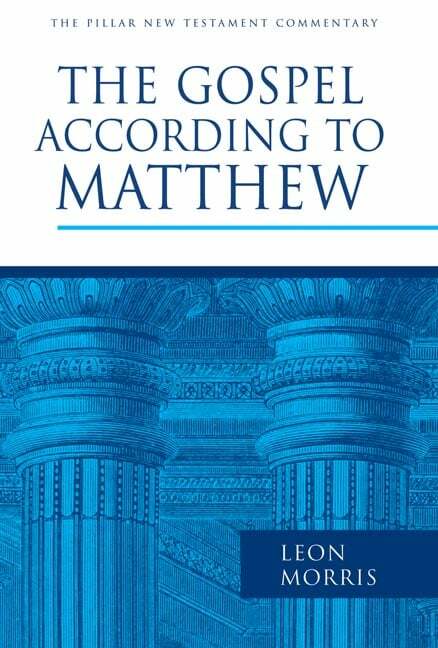 There are a number of other helpful commentaries on the Gospel of Matthew, including those by Craig Blomberg , Knox Chamblin, Daniel M. Doriani, John Nolland , David L. Turner , Robert H. Mounce , Donald Hagner (Vol. 1 , Vol. 2 ), Frederick Dale Bruner (Vol. 1 , Vol. 2 ), Jeffrey Gibbs , and the shorter commentary by R.T. France mentioned above.